IITA’s East Africa Aflasafe Project Coordinator, is currently being featured on the Featured profile of the week section of the modernizing African food systems’ website. 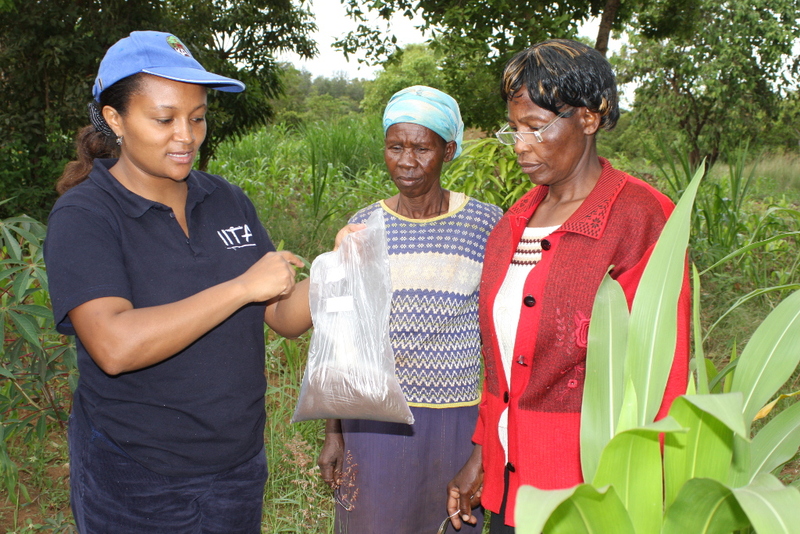 Charity Mutegi, IITA’s East Africa Aflasafe Project Coordinator with farmers. 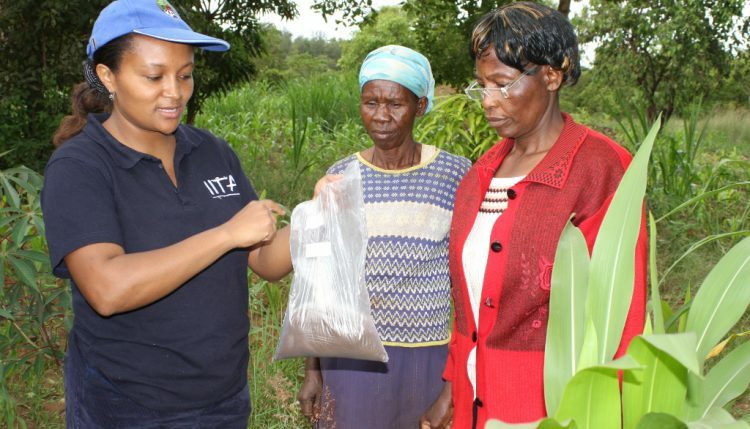 Mutegi was recognized as a role model for young women professionals in agriculture and for her outstanding contribution towards the fight against aflatoxins and food safety in Kenya as well. Mutegi’s brief has been available on the page since 8 December.